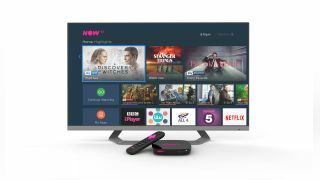 Sky introduces offline viewing to NOW TV app | What Hi-Fi? If you're a NOW TV subscriber with a Sky Cinema, Entertainment, Kids or hayu Month Pass, it’s your lucky day - you can now download shows and movies in the Android and iOS app to watch when you’re offline. As spotted by Engadget, Sky has released the new functionality in the latest NOW TV app update (version 10.1.0) on the App Store. As for Android devices, a Sky representative has confirmed that the update in the Google Play Store is rolling out this week. Previously, NOW TV app users have only been able to download select content available with a NOW TV Kids Pass. Once a show is downloaded, it'll be available to watch offline for 30 days. T3 reported late last year that Sky would be rolling out offline viewing, which is already available on Sky’s Go app, before Christmas, but as goes the saying, better late than never.